Air and ground source heat pumps are steadily gaining popularity but one question that keeps popping up is, do heat pumps offer great value for money? In other words: are heat pumps in Scotland a good investment? Heat pumps may be gaining popularity in Scotland for only the last ten years or so, up in Scandinavia they have been in use for over 30 years now and are the mainstream heat source for homes. Heat pumps’ cost effectiveness in Scotland has always been questioned. You’ll find tons of pro and con arguments online. Out of all of them, one thing is for sure: it all depends on the size of the collector, pump, or heat emitter. If these are incompatible then no, heat pumps (ground or air) are not cost effective. Heat Pumps in Scotland Value For Money? 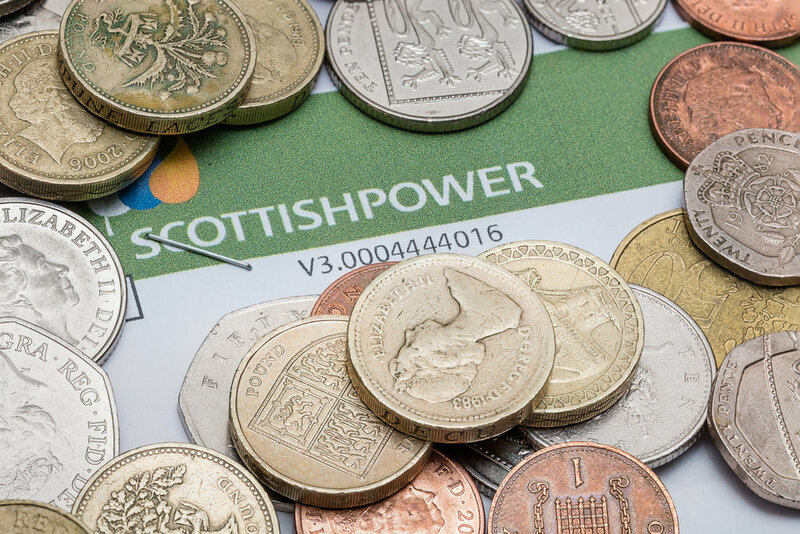 In this article, we take a closer look at how to make sure you get great value for money when it comes to using heat pumps in Scotland. Heat pumps use solar heat that has been absorbed by the ground or air, which is transferred (pumped) and used to heat up residential or commercial buildings. Heat pumps are also effective for heating water. The technology used is similar to that of a refrigerator only this time the end result is heat instead of cold air. In the case of a ground source heat pump, the energy comes from passing a glycol/water mix through pipework buried in the ground. The temperature of the earth tends to be very stable 1m deep, and there is minimal variation in this temperature across the seasons. The fluid in the pipework absorbs energy from its surroundings and delivers this to the heat pump within the property, where it is used in the process described in the earlier paragraph. After the energy has been given off to the heat pump the cooled fluid passes back into the pipework to collect more heat. 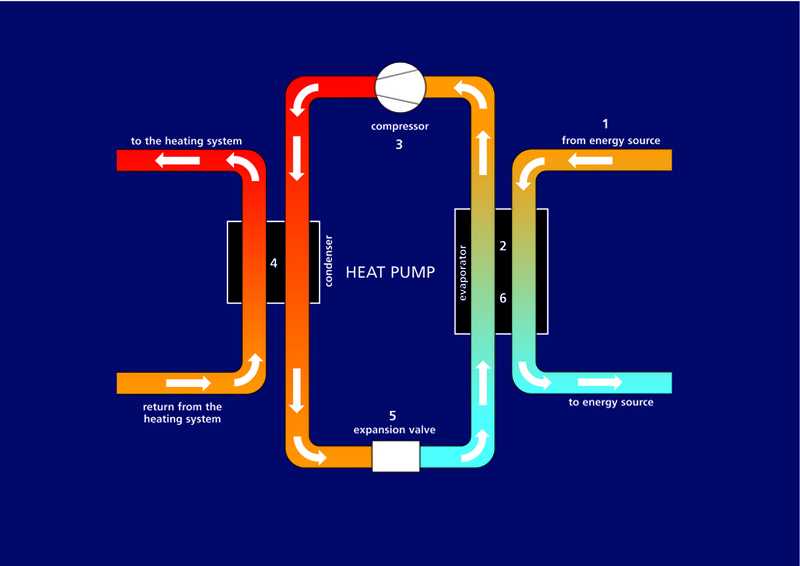 Whilst the process within the air source heat pump is identical to the ground source heat pump, the initial heat collection method is different. Instead, an air handling unit is installed outside. Air is drawn over the fins of the evaporator and energy contained in the air is transferred to the refrigerant. Cooled air is discharged from the front of the air handling unit, which is why there shouldn’t be any obstruction within 3 metres, to allow good air circulation all around the unit. How Can I Measure the Performance of a Heat Pump? The standard performance of a heat pump is normally measured by its Co-efficient of Performance (COP). This is the ratio of heat produced per every unit of electricity consumed while pumping that heat. Therefore, a heat pump’s efficiency is measured by how high this ratio is. This is simply because a higher COP value translates to relatively more efficient heat delivery. For instance, for you to get 3kWh of heat for every 1kWh of electricity used to operate the heat pump, you would need a COP value of no less than 3. This could be physically calculated by attaching electrical meters to the heat pump and heat meters onto the flow and return pipework. However you can check the stated COP of each heat pump by going on line to the MCS website, where you will find values for SCOP at every degree between 35˚C and 55˚C. As it takes more electrical energy to get to 40˚C than it does to get to 35˚C, this is reflected in the lower efficiency figure. When this is understood it helps explain why underfloor heating is such a good match for ground and air source heat pumps. How Much Will I Spend On A Heat Pump? Heat pumps prices vary from manufacturer to manufacturer. Plus, you also have to take into account the installation cost, which varies from location to location and from installer to installer. According to Energy Saving Trust, you are looking at a cost between £6,000 and £8,000 for the installation of an average system. Still, you need to keep in mind that heat pump installation in Scotland can get significantly pricier if you opt for a high-end system. How Will I Know if a Heat Pump Is Right for My Home in Scotland? This is an extremely important question that is often overlooked by people in the process of shopping for and installing heat pumps in their homes. What Kind of Fuel is the Heat Pump replacing? If your new heat pump is replacing a system powered by electricity, oil, coal, or LPG then yes, a heat pump is most certainly ideal for your home. In fact, it will pay for itself through the energy savings it brings. But if you’ve been using mains gas to generate heat for your home then your heat emitting system within your home may need to be upgraded before a heat pump is fitted. This is because your present heat emitters will have been designed for a high temperature supply, this could involve upgrading to larger radiators or getting underfloor heating installed which will operate on lower supply temperature. A heat pump should not be considered as a substitute for a well-insulated property, and your home should have its current insulation levels reviewed, and possibly improved before you go ahead. Due to the low water temperature required, ground and air source heat pumps perform way better than radiator systems and are preferred to underfloor or warm air heating. According to the Energy Saving Trust’s heat pump field trial, delivering to radiators has, on average, 86 percent of the efficiency of delivering to underfloor heating. But even with their rising popularity, domestic and commercial property owners are advised to make sure that their homes and offices are properly insulated. This will ensure that the heat pump delivers optimally. Consumers should also be aware that one size doesn’t fit all. It is imperative that you get an expert to recommend the right underfloor heating system for your home or office. Will The Heat Pump Heat My Water Too? Yes, it can. Apart from being used to supply natural underfloor heating to homes and offices, heat pumps can also be used to heat up hot water systems. A heat pump can increase water temperature to around 50˚C without the support of direct electric immersion heaters. If this sounds less than the temperature produced by a fossil fuel burning boiler bear in mind that water much above 40˚C is uncomfortable to bathe in. To compensate for the lower storage temperature, the volume of stored water is normally increased. Your installer will recommend a suitable Domestic Hot Water cylinder (DHW) that will meet the minimum needs of your property. That said, you should discuss any extraordinary DHW demands you have that might mean a higher volume of water is needed. Your installer will then provide options for larger cylinders, it is a fact that heat pumps are at their least efficient when producing heat for hot water, and your installer should demonstrate the additional annual costs of heating and maintaining the larger volume of water. On the subject of hot water, your installer will be managing the risks of legionella. Legionella bacteria are common in natural water sources such as rivers, lakes and reservoirs, but usually in low numbers. They may be found in purpose built water systems including hot and cold water systems. If conditions are favourable, the bacteria may multiply, increasing the risk of legionnaires’ disease. This is a potentially fatal pneumonia, infection is caused by breathing in small droplets of water contaminated by the bacteria. Everyone is potentially susceptible to infection but some people are at higher risk, i.e. the elderly, smokers, those suffering from chronic respiratory or kidney disease, and people whose immune system is impaired. Risks are managed by elimination of stored cold water in combination with the installation of a mains pressure hot water system. Furthermore, the volume of stored hot water is closely matched to the daily requirements of the household, thus ensuring a high water turnover. To maintain a healthy DHW system the hot water cylinder will be heated to 60˚C periodically. The heat pump will raise the water to the maximum possible temperature, then an electric immersion element lifts the water temperature the last little bit. Current advised good practice is to operate this function on a weekly basis. This is set up on commissioning and thereafter is an automatic function that requires no additional input from you. The DHW cylinder that will be supplied will differ from other traditional cylinders because it will have a much larger coil to transfer heat faster. It is highly recommended that you seek professional help before installing a heat pump in your building. We understand the need to cut down on cost and the urge to “Do-It-Yourself” using “How-To” YouTube videos. But incorrectly installed heat pumps can end up costing you more to run than what you will be replacing. the installer is certified by the Microgeneration Certification Scheme (MCS) for the relevant technology. If anyone of these points is not adhered to then you will miss out on some very valuable financial support. To become MCS accredited requires serious commitment. There are many perfectly competent tradesmen who can fit heat pumps for you, but do not have the resources to devote to maintaining the high standards set out in the Microgeneration Installation Standard MIS 3005. In addition, there are codes of practice for dealing with consumers that MCS installers must comply with, that help to keep standards consistently high throughout the industry. These codes govern how installers communicate with you, how they negotiate the order with you, the size of deposit that may be requested, how they carry out the work in your property, standards of workmanship, workmanship warranties and registering your installation on the MCS Installation Database. Should things not work out as hoped and you have to make a complaint- there is even a procedure for this so that you are never left with no one to turn to. A good heat pump installer in Scotland will work with you to respond quickly and get your complaint resolved. By using an expert, you are guaranteed the right system for your property. But how can you tell if your installer is indeed an expert? Well, professional installers use the BS EN 14511 standard to test and quote for most heat pump packages. The BS EN 14511 is used to specify test conditions of about 7°C outdoor (for air-source heat pumps). It should also be able to register a return and flow temperature of 40°C and 45°C respectively. Before you hire a heat pump installer in Scotland, make sure they abide by these standards. This is another critical factor that needs to be considered when installing a heat pump for your home or office. A ground source heat pump system is entirely contained within the house, and once the ground loops are installed and the garden has been landscaped, there is nothing to show externally that a renewable system has been installed. By contrast, an air source heat pump must be installed outside the property where air can freely pass over it. An air source heat pump is much easier to install because it simply has to be set up outside the building. You should, however, ensure that there are no obstructions near the system. It is critical that the unit is not blocked in anyway to restrict air flow around it. Air source heat pump manufacturers have worked hard to reduce the noise produced from the unit, but even so it is considered good practice to avoid locating them outside rooms where people sleep, or where noise could cause a nuisance to neighbours. Often the rear or side of the property is selected for an air source heat pump installation, where it cannot be seen from the approach to the property. If necessary, high performance insulated pipe may be buried in the ground to allow the air source heat pump to be installed some distance away from the property. Installation costs will increase, and the system may be slightly less efficient as a result of transferring energy over greater distances. Even though both systems are mainly placed outside the house, heat pumps can be noisy and, therefore, you need to take into consideration their location and positioning. In terms of installation, the ground source heat pump needs a bit more work to install. Ground loops are buried in soil at a minimum depth of 1m. This requires extensive digging works. Custom builders are advised to get the digging work done early in the project while the large earth moving machines are on site preparing the foundations. There is a correlation between the house size (and therefore its energy demand) and the amount of ground loop required- the larger the house, the more land required for ground loops. Ground source heat pump loops installation in Stirling-shire, Scotland. Where the house/land ratio is not enough then vertical boreholes can be installed. Drilling rigs can go down to a depth of 100m or more, and collector probes fitted into 2 or 3 of these in less than 40m² will extract the same energy as a horizontal layout would from over 800m² of land. In part, this is due to the higher temperatures extracted at those lower depths. Drilling is a science and your installer will consult with specialists with knowledge of the type of rock that is likely to exist below your property. Different rock formations will produce different yields and it is not always possible to assess this accurately until drilling commences. For this reason, it is as well to allow a contingency in your budget for a trial bore or for the cost of additional bores in the event of snag. It has to be set up underground, which obviously requires a bit of digging (sometimes up to 100 metres deep) in order to set the coils into the ground. This should, however, not scare you as the cost to install is covered in the initial purchase cost. Is it Worth Investing in a Heat Pump? Heat pumps, both ground and air source, have their respective benefits and advantages. Their cost-benefit ratio is first and foremost determined by the kind of system they replace. Energy saving is a top priority as most home and business owners look to save as much in energy bills. But that notwithstanding, there are other crucial factors that should be considered by consumers who to maximise the cost-benefit ratio. Using an expert installer is extremely important when planning to install any of the two types of heat pumps. The right system for your home or office is also another important factor to consider. Only an expert is able to recommend a suitable heating system that fits your needs. It is worth noting that heat pumps are a major investment. It is, therefore, advisable to be extra careful when buying and installing such a system. Do not rush into it. Take the time to find the right heat pump for your space and the right heat pump installation expert in Glasgow or Edinburgh. Just like any other machinery or technology, heat pumps do have their share of challenges. This is quite normal, although some of these challenges are mostly attributed to initial installation errors -- not following the correct installation procedures and using unqualified installers. Most heat pump problems also occur as a result of poorly located units, shoddy workmanship such as leaking water pipes, inadequately designed ground loops resulting in the heat pump not being able to meet the heating requirement of the property, and poor or no insulation at all. All these issues can be avoided from the onset. With proper planning and use of an expert installer, you can get the best out of your heating system. Regular maintenance and monitoring by an authorised installer are also important in ensuring that the system is running efficiently and as intended. One of the most important factors to consider before installing a heat pump for domestic or commercial use is assessing your heat demand. This will give you a better idea and understanding of how much heat you need and subsequently the type of system that is ideal for your space. You can assess this demand through analysing your annual bills. This will paint a clearer picture of how much heat you’ve been using over a given period. By taking into account the various weather variations, you, with the help of an expert installer, are in a better position to identify the right system for your property. Another effective way to assess the demand is to use the EN ISO 13790 method. This is the standard for assessing the energy performance of buildings through the calculation of energy use for space heating and cooling. This method is best suited for use in situations where bills are not readily available. Your installer should be also able to also use the CIBSE Guide A, which contains comprehensive degree day information for various locations in and around the UK. This method can effectively be used together with EN 12831 to accurately identify the most appropriate base temperature for your property and the building’s heating energy requirement. In terms of domestic heating and hot water requirements, it is advisable not to use the Standard Assessment Procedure. It is not suited for such requirements and hence cannot be relied upon to give correct assessments and recommendations. Efficiency is measured by a variety of factors such as: the heat source, the supplied heat, the water temperature, the space being heated, and the energy (electricity) used to run the heat pump. According to a survey conducted by the Heating Strategy Group of the UK Energy Efficiency Partnerships for Homes, heat pumps were found to be just as efficient as gas boilers. Heat pumps are economical and the most energy-efficient of all green energy heating systems available today. They have now become the best solution for domestic and commercial heating due to their cost-effectiveness as well as eco-friendliness. This choice purely depends on your requirements and location. Both systems are efficient in their own way and perform the same task effectively. The only glaring difference is the initial cost, which, again, depends on what you want and how big of a space you want to heat up. Having trouble deciding which of the two systems is the most suitable for your home or business? Get in touch with our heat pump Scotland experts right now! They will guide you through the process and discuss the various available options, such as the screeded floor system, the suspended floor system, the floating floor system, the low profile floor system, and the specialist floor system. Air source heat pumps are easier to install than the ground source ones. However, there are other factors that need to be taken into consideration. For instance, air heat pumps can be efficient, especially during the winter season because they need to work almost twice as hard to warm up spaces if they are under-specified. These systems have a pump that is usually placed outside, but not too far away from the house. During the cold season, the noise emanating from this units used to be high and were sometimes disturbing, but these days they are very well insulated. Air source heat pump with underfloor heating installation in East Lothian, Scotland. Ground source heat pumps, on the other hand, are quieter since there are no fans involved. This system have compressors and are also efficient regardless of the weather conditions. Because the temperature underground is usually constant at approximately 10°C, which means the heat output can also remain constant. They are also long-lasting with a lifespan of about 20-25 years for the heat pump and approximately 50 years for the underground loops, which is a big plus. However, a ground source heat pump requires sizable space in order to lay the loops in the ground. It also requires a bit of digging, which can also take up a large surface area of land. This can be a big challenge especially for consumers living in urban areas. So, between the two systems, the ground source heat pump is slightly better than the air source heating system especially for regions that experience longer periods of cold weather such as Scotland, although the units are getting much more close to each other. As highlighted before, heat pump installation is an intricate process that requires you to involve an expert. This will not only ensure that you get the right system for your property. It also makes sure that you get your ROI in terms of energy savings as well as in carbon reduction. There are various reputable, registered, and experienced providers where you can seek professional advice on heat pumps including products, installation, and support for both domestic and commercial properties. It is recommended that you make sure your installer is registered with the The Home Insulation & Energy Systems Contractors Scheme (HIES), this can be verified online. The HIES is a consumer protection organisation covering the installation of renewable energy products. Also, find out which organisation has certified them and if their membership is up to date. You also need to confirm if they are members of an authorised insurance scheme including a recognised trade organisation. The UK government has a one-of-a-kind Renewable Heat Incentive (RHI) programme, which encourages increased use of renewable energy and heat technologies. The RHI is an elaborate programme, which rewards domestic and commercial property owners who’ve made efforts to install heating systems that are solely powered by natural and renewable sources. This grant has worked extremely well and is on its way to strategically position the UK favourably among the top energy efficient nations. The UK aims to achieve 12 percent of its heating from renewable sources by the year 2020. 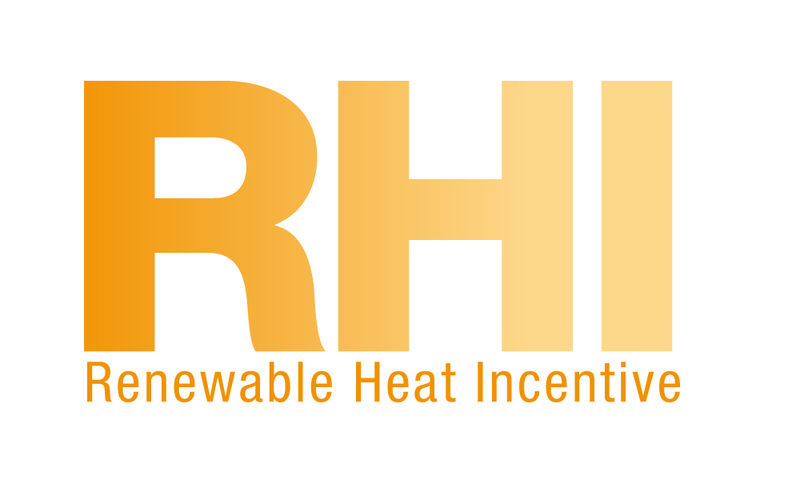 Launched in 2014 and covering England, Wales, and Scotland, the domestic RHI provides financial support to the owners of the renewable heating systems for up to seven years. The RHI for industrial, commercial, public sector, not-for-profit, and community installations was launched in 2011. Detailed information regarding the commercial RHI can be found here. For domestic RHI, details can be found here. Maintenance is key when it comes to ensuring that the system is fully functional. Almost all heat pumps that have been installed by accredited installers are under warranty, which then takes care of most of the maintenance work. But in terms of proactive maintenance and to also make sure that your unit remains efficient, you also need to take good care of it by ensuring that there are no branches or debris covering or blocking the air source heat pump. Both internal and external units should also be closely monitored. In England and Wales, air source heat pumps are generally considered permitted developments and hence do not require permission in order to have them installed in your property. For Scotland, however, you only need to meet certain conditions. For instance, the heat pump needs to be not less than 100 meters from being sited. Heat pumps are slowly becoming a must-have in most homes and offices globally and especially regions that experience extremely cold weather. In homes, heat pumps are now offering that much-needed warmth and comfort at no extra energy cost. Thanks to heat pumps, homes have now been transformed into living spaces that we all look forward to at the end of the day. Offices that have been fitted with heat pumps have now become a hotbed for productivity. Employees require an ideal working environment and cold weather can dampen their spirits significantly. Business owners have become aware of the cost-effectiveness of heat pumps and how heated offices can improve the working conditions and subsequently impact their bottom line. But before you dash off to get yourself a heat pump, take time to look around and identify an expert to help you with your installation. Do a thorough background check including going through heat pump reviews just to get a feel of what other users are saying about these heating systems. Remember, you can save more if you get an expert to recommend a suitable system for your property and then have it professionally installed. Bottom line -- heat pumps are indeed cost effective and can give you value for money in the long term but only if done properly.